Ko te hiranga o te reo o ngā kaikōrero Toi o Ngāi Tūhoe ka whakaatuhia e tēnei pakipūmeka reo Māori. Takiuru āpiria tēnei hōtaka hei makau. 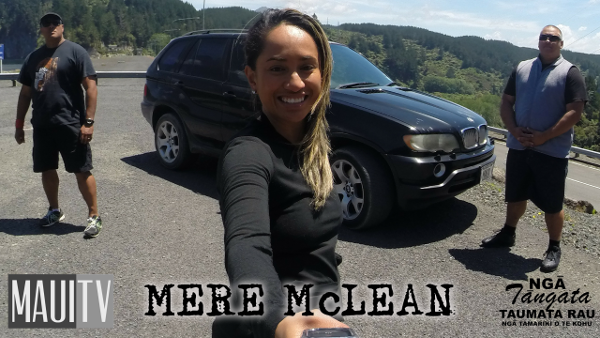 Mere McLean is of Tuhoe decent and has whakapapa links to iwi of the wider Bay of Plenty and central North Island. She is a seasoned presenter and journalist having worked for Reo Irirangi Maori (Sun FM) and Māori Television (Te Kāea). She is young and a fluent speaker of te reo Māori. With her wealth of media experience with Tuhoe lands and people, she brings with her a wide network of fluent speakers. Her inside knowledge and investigative personality assists in selecting quality talent, who not only speak Māori, but live interesting lives that illustrate the people, language and culture of Tuhoe. Her journalistic experience allows her to ask the right questions for each talent, ensuring a good flow to the interviews. Mere works in a manner that is respectful to talent and makes them feel comfortable enough to open up and share their story with her. Mere has the charisma and her knowledge and experience makes her the best host for this new series. This will also grow and develop her skills in long duration story telling. E raru ana tō ara mātakitaki ki Māori TV?